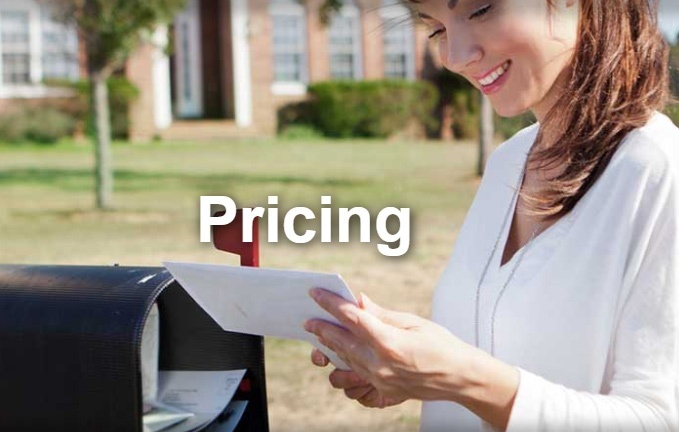 The cost of your Every Door Direct Mail® campaign depends on three key factors. But usually, it's between 28¢ and 34¢ per piece — all inclusive with postage! Size - When it comes to cost, the size of your mail piece is important. A standard size postcard, such as a 6.25" x 9", will cost less per piece to produce and mail than a larger full-page size 8.5" x 11" postcard. It's important to think about your message, offer, and audience when selecting the ideal mailer size. Quantity - The audience you need (or want) to target will determine how many pieces of the mailer you must produce. As such, smaller campaigns will cost less than larger campaigns. It is worth noting that larger campaigns may benefit from production efficiencies, thus lowering the actual price per piece. Options - Do you have artwork or need a professional design service? Are you in a rush to deliver your campaign? Do you need to split your mailing into multiple, smaller drops? The options and preferences you choose will impact the cost. See how much an EDDM® campaign would cost for your business at the Pricing page.